Beware! ForexBit is an offshore broker! Your investment may be at risk. 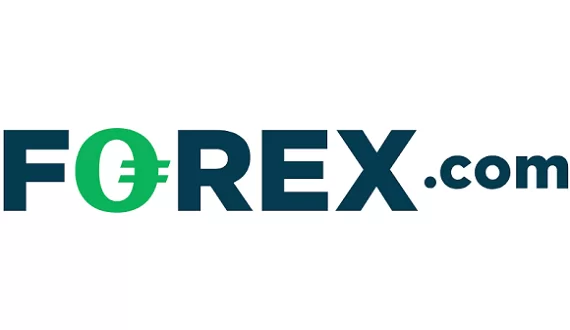 ForexBit is a Forex brokerage based in EU member-state Bulgaria. According to the brokerage clients there is a required minimum deposit of $250 which is about the industry average and a wide range of trading products available for clients. 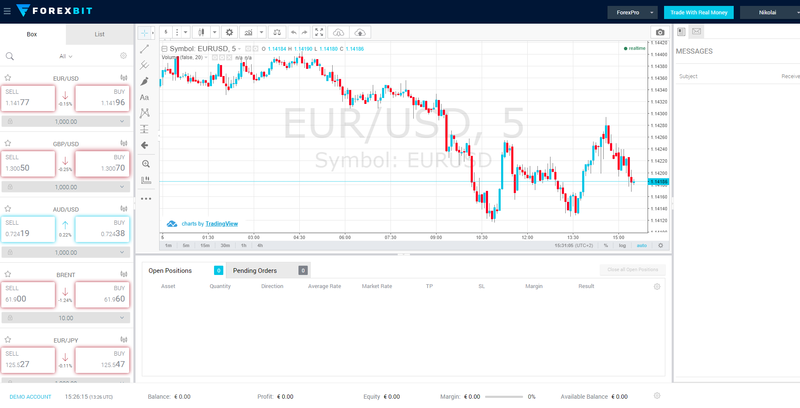 Through a demo account we could take a look at the web-based trading platform and see a spread of 1.9 pips which is a bit above the industry average of a pip and a half and not very favorable for traders. On the brokerage’s website we read that the company behind the brokerage is registered in Bulgaria with the name Alpha Capital Technology and an address – Boulevard Vasil Levski 113, Sofia 1000, Bulgaria. Bulgaria is a member-state of the EU and the ESMA guidelines are in full force for brokerages operating on the territory of the country. Furthermore, brokerages in Bulgaria have to be licensed by the local Financial Supervision Commission. However, going through the website and brokerage’s terms and conditions we find no mention of a license. After checking with the online registry of the regulatory agency – we can safely conclude that ForexBit does not fall under any regulatory oversight. However, we did gain access through a demo account to the web-based trading platform offered by the brokerage. On it we could see a spread of just below two pips on EUR/USD which is a bit high. The industry average for Forex trading is a pip and a half and anything above we consider unfavorable for traders. With no regulatory oversight we can’t be certain about the company behind the operation and whether it will fulfill its obligation towards clients. Furthermore, the lack of a demo account for the trading platform, as well any sort of more detailed information regarding the trading conditions of the brokerage highly inclines us to question the legitimacy of the Bulgarian brokerage. In the terms and conditions of the brokerage we did find quite a few troubling provisions. There is a monthly administration fee of $50 for accounts that have been inactive more than three months. We further come across a withdrawal fee of $20 and a minimum withdrawal amount of $300 for wire transfers, and $50 for withdrawals via credit card. 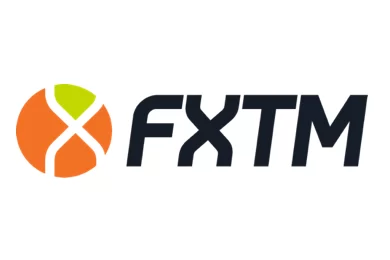 Such fees and requirements are quite excessive in our view and we consider them out of place in the terms of a legitimate brokerage, which ForexBit most certainly is not. That is why we advise traders to always put up only the required minimum deposit, instead of risking a bigger amount with no certainty. Afterwards, they may also try to withdraw a small amount in order to check for any unexpected fees or delays. Such fees and delays are usually the signs of a scammer. Information is a pretty solid criteria for judging a brokers legitimacy. Scammers would not share much of their information, because precisely there inconsistencies and irregularities may appear which expose the whole set-up. A good example is this very broker and the misleading information it gave regarding its regulatory status. Through clicking an ad with promises for fast money, you will be redirected to a website such as Bitcoin Evolution or Crypto Revolt where registration will require you to give your email and phone number. After sharing your personal information, you will being receiving calls from brokers, compelling you to invest with them and win big. After a few minutes hearing their pitches, you decide to deposit some $200-250. And just like that – the scammers take a fat commission from this initial deposit. You may contact your bank or credit card provider and file a chargeback. Furthermore, due to the high instances of fraud – both Visa and MasterCard have decided to sidestep scammers as best they can in forex trading. The first thing we have seen so far is that MasterCard has increased the previous time period of six months for filing a chargeback to a year and a half with their peer Visa expected to follow suit in December. How do you know who to use as a broker please advise as i cannot afford to be scammed.